I adore Tim Schafer and Double Fine, but when Costume Quest was released a couple of months ago, I didn’t immediately download it. It looked interesting, but I wasn’t sure if it was something I was going to instantly fall in love with. After numerous people kept contacting me telling me I would love the game, I finally downloaded it and, well, instantly fell in love with it. In fact, it became one of the my favorite games of the last year! 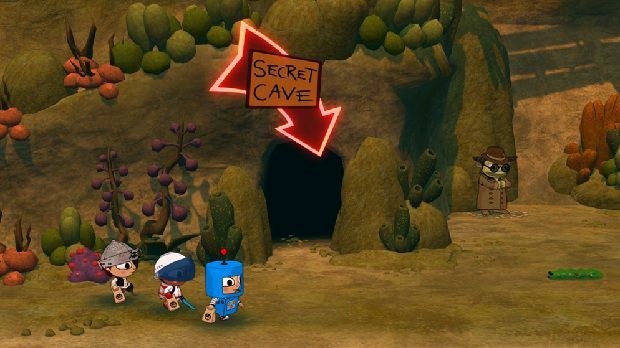 Now, almost two months after its release, Double Fine has released DLC for the game in the form of Grubbins on Ice, an extension of Costume Quest’s original story. Is this inexpensive add-on worth it? Does it maintain the game’s original charm and whimsy? Hit the jump for the review! 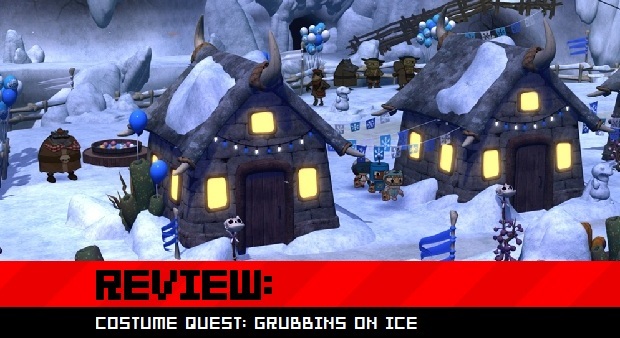 Grubbins on Ice takes place a little bit after the events of Costume Quest. After saving his sister Wren, Reynold and his friends (and playable party members from the first game) Everett and Lucy decide to search for proof that the monsters they battled in the first game really existed. When they stumble upon a portal to the monster world of Repugia, Lucy is kidnapped by a monster and taken to new antagonist Araxia at the top of a giant mountain. Determined to get her back, Reynold, Everett, and Wren team up to enter Repugia and rescue their friend! Gameplay-wise, Grubbins on Ice is exactly the same as Costume Quest. Players travel around in a team of three, utilizing costumes with different abilities to fight enemies in basic turn-based RPG battles and solve simple, Zelda-esque puzzles. 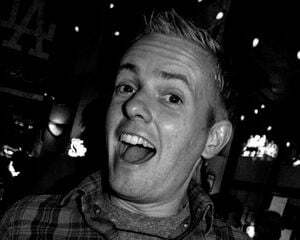 For anyone not familiar with Costume Quest, I suggest reading Nick’s original review, as nothing has really changed in Grubbins on Ice. The gameplay and structure are exactly the same, so instead of rehashing what you probably already know, let’s just focus on what is new in this DLC. 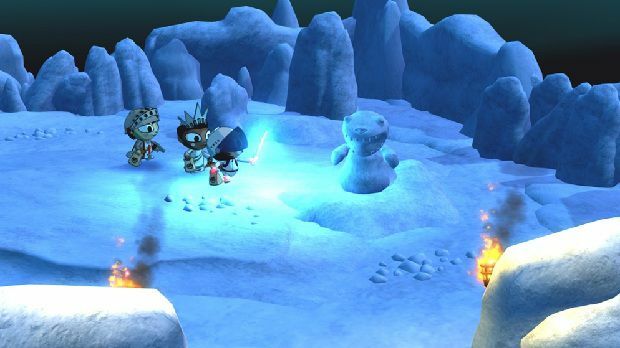 In addition to being able to use all the costumes from the original game, Reynold, Everett, and Wren can collect three additional costumes in Grubbins on Ice, each with their own specialities. 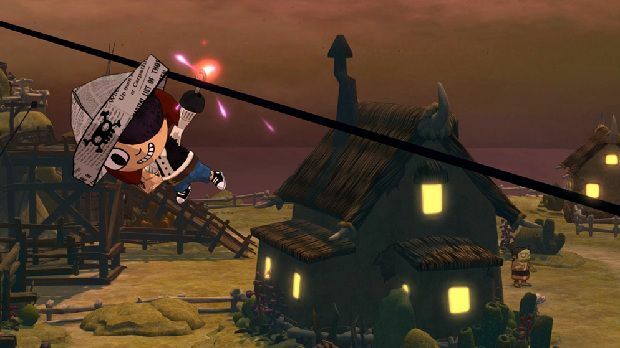 The pirate costume -- one that I was surprised was missing from the first game -- allows players to slide down various ziplines scattered around the world. 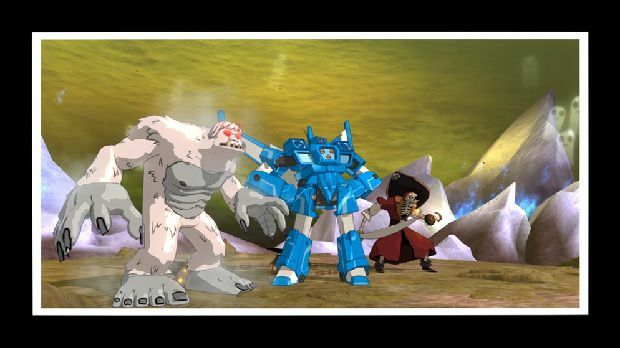 The Yeti costume (my personal vote for the most adorable) excels at fighting (and looking adorable), while the final Eyeball costume can reveal secrets around the world by zooming the screen out whenever used. Each of these new costumes are nice additions and fit right in with the pleasantly varied selection from the first game. The other major addition to Grubbins on Ice is the location. 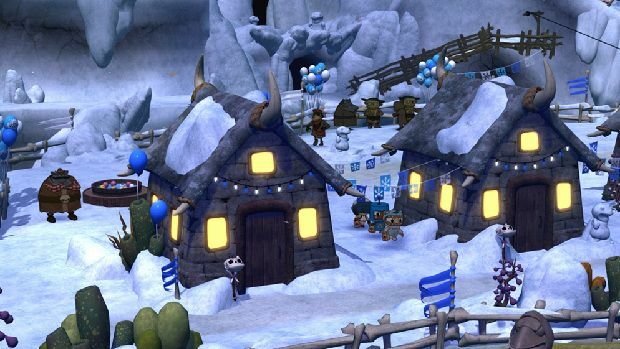 While Costume Quest took place in the neighborhoods and surrounding areas of the real world, Grubbins on Ice is set entirely in Repugia, land of the monsters. This change in locale is handled brilliantly. In the first game, Tim Schafer and his writers had fun with showing what it would be like had monsters secretly invaded our real world. In this game, Reynold and his friends are the “monsters”, and they are the ones traveling through a strange new world. The new environments (such as a monster hotel) are clever, but it is the interactions with the various creatures of Repugia that is the real treat. And, again, this comes down to the writing: Grubbins on Ice is filled with just as much charming, witty dialogue as the first game. Heck, one of the monsters actually tells my favorite joke of all time: Q) What’s brown and sticky? A) A stick! HA! So awesome. On the (slightly) downside, Grubbins on Ice is super short. You can easily complete the game -- and find all the secrets! -- in under three hours. I did feel satisfied after I beat the challenging final boss, though, so I guess this is not so much a negative as a testament to how much I enjoyed exploring the game’s world. I didn’t want the game to end, and was slightly disappointed when it did so early. But on a good note, the game ends with a pretty big cliffhanger, hinting that more DLC may be to come. And this made me very happy. Having the first game release on Halloween and be entirely Halloween-themed was perfect! And, now, Grubbins on Ice -- set in a winter, snowmonster-filled world -- releases right before the holidays. If Double Fine was smart, they could easily release new DLC like this and theme the games based on the time of year. I would love to see a new spring-themed add-on in a few months, followed by, maybe, a 4th of July expansion in the summer (the Statue of Liberty is a playable costume in the game, after all). If you are a fan of Costume Quest you really need to download Grubbins on Ice. It is a little on the short side, but there is enough content and plenty of new quests to make it easily worth the 400 points ($5.00). Just like the original game, Grubbins on Ice is charming, harmless, and a perfect little downloadable package.